Theory and definitions. Closure, commutative, associative, distributive laws. Defining Vector space, subspaces, linear dependence of vectors, dimension and bias. A few introductory problems proving certain sets to be vector spaces. 3. Problem: Show that the set of all real polynomials of degree ‘n’ or less is a vector space over the field of real numbers. 4. 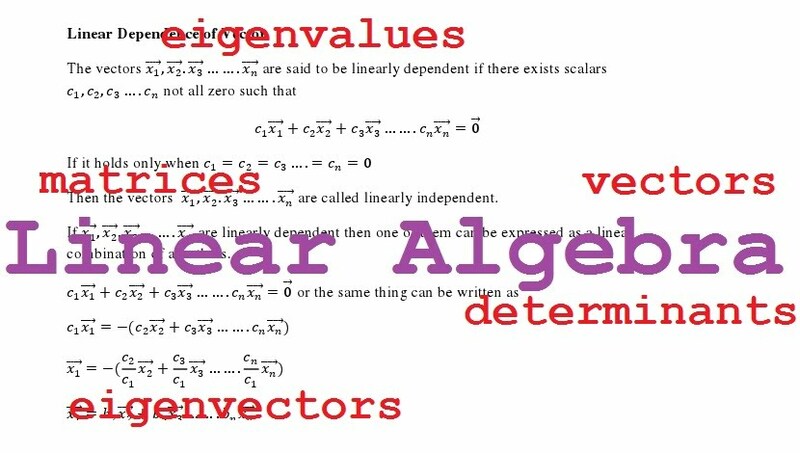 Verifying whether a given set with specific operations is a vector space with vector field of real numbers. 5. subspace over the field of real numbers R.
We then extend these postulates to illustrate the conditions under a which a set of vectors may be called a vector space over a field. Introduction to Matrices - Part I Introduction to Matrices. Theory, definitions. What a Matrix is, order of a matrix, equality of matrices, different kind of matrices: row matrix, column matrix, square matrix, diagonal, identity and triangular matrices. Definitions of Trace, Minor, Cofactors, Adjoint, Inverse, Transpose of a matrix. Addition, subtraction, scalar multiplication, multiplication of matrices. Defining special types of matrices like Symmetric, Skew Symmetric, Idempotent, Involuntary, Nil-potent, Singular, Non-Singular, Unitary matrices. Introduction to Matrices - Part IIProblems and solved examples based on the sub-topics mentioned above. Some of the problems in this part demonstrate finding the rank, inverse or characteristic equations of matrices. Representing real life problems in matrix form. Determinants Introduction to determinants. Second and third order determinants, minors and co-factors. Properties of determinants and how it remains altered or unaltered based on simple transformations is matrices. 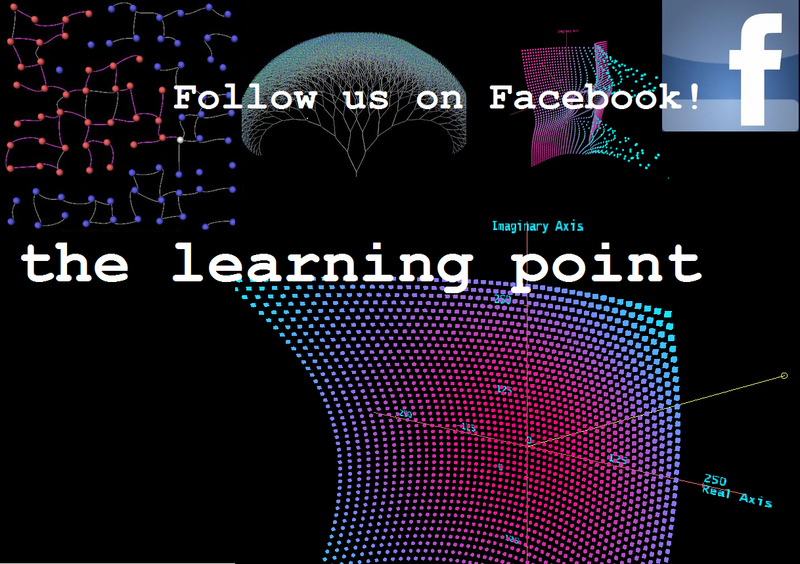 Expanding the determinant. Solved problems related to determinants. Simultaneous linear equations in multiple variablesRepresenting a system of linear equations in multiple variables in matrix form. Using determinants to solve these systems of equations. Meaning of consistent, homogeneous and non-homogeneous systems of equations. Theorems relating to consistency of systems of equations. Application of Cramer rule. Solved problems demonstrating how to solve linear equations using matrix and determinant related methods. More Problems related to Simultaneous Equations; problems related to eigenvalues and eigenvectors Demonstrating the Crammer rule, using eigenvalue methods to solve vector space problems, verifying Cayley Hamilton Theorem, advanced problems related to systems of equations. Solving a system of differential equations . A few closing problems in Linear AlgebraSolving a recurrence relation, some more of system of equations.